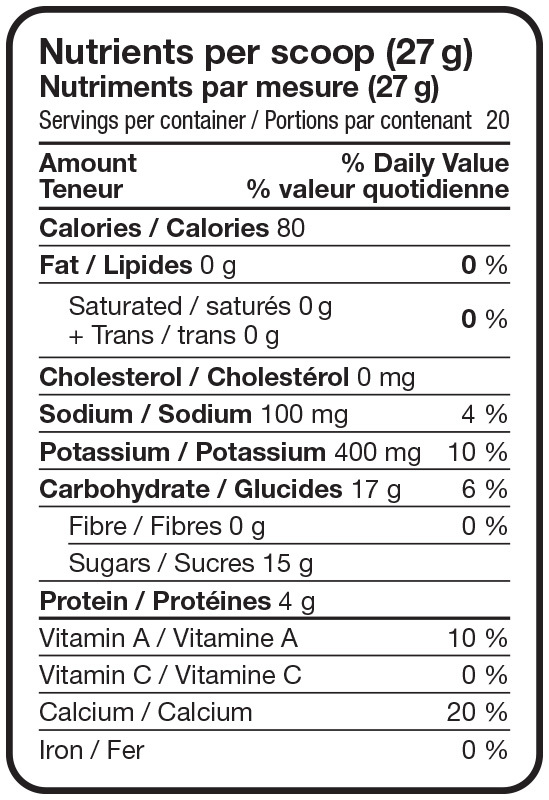 Non-Medicinal Ingredients: Sprouted whole grain brown rice syrup, natural mango, pineapple and orange flavours, citric acid, malic acid, stevia extract, beta carotene. 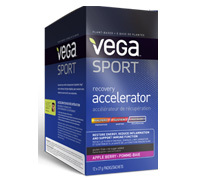 Recommended Dose (adult): Mix one pack of Vega Sport Recovery Accelerator in 1.5 cups (375 ml) of cold water and drink immediately after exercise to enhance recovery process and reduce rest period between workouts. Caution and Warnings: Consult a health care practitioner prior to use if you are pregnant, breastfeeding, taking prescription medication, or have a serious medical condition. Do not use if you have had a heart attack/myocardial infarction. For adults only. Some people may experience gastrointestinal discomfort. Do not use if seal is broken.